More and more foreign patients are seeking for cosmetic surgery in Paris. Cosmetic surgery in Paris for foreign patients. Some patients from the United States, Canada, the United Kingdom, Switzerland, Belgium, Sweden and other countries are interested in the operations of Aesthetic Surgery in Paris of Dr. Nicolas Zwillinger. It is a tourist and surgical trip of 5 to 6 days that will allow you to visit Paris in a weekend and do your cosmetic surgery in the best conditions. Ideally, it is strongly recommended to travel with your spouse or friend; the opportunity to discover the most romantic capital of Europe. To carry out your plastic operation, here is how the Doctor and his team (assistant and anesthesiologist) have chosen to welcome you. 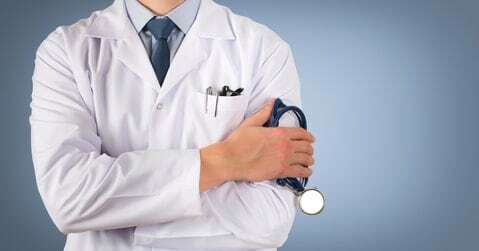 Beforehand you will send your request by email to the doctor directly, with all the elements to know you better: age, weight, height, current work and antecedents medical and surgical. Photos and medical details will be requested by Dr. Zwillinger in return, to constitute the first medical file at a distance. Repeated contacts by email will be necessary sometimes to clarify the demand and its treatment. All questions are welcome and Dr. Nicolas Zwillinger will send you as much information as possible about the operation you wish to carry out. Once the request is established and validated by you and Dr. Zwillinger, you can plan your stay in Paris to undergo an Aesthetic surgery planned in advance. Plan your stay well in advance to benefit from the best hotel rates around the Dr. Zwillinger Clinic and also to book your surgery at the preferred time for you. The first step once in Paris will be to physically meet your aesthetic surgeon in his medical office. It will ideally be a Thursday or a Friday. Dr. Nicolas Zwillinger will specify with you the medical examination: choice of implants for breast augmentation or buttock augmentation, amount of liposuction areas, pre-operative pictures, muscle tests for abdominoplasty, 3D morphing for rhinoplasty etc. . The same day or the next day, Dr. Zwillinger will ask you to perform additional biological or radiological assessments if you have not already done them at home. Then, on Saturday, you will meet the anesthesiologist at the clinic and answer all his questions. You will spend a nice evening in the Parisian capital on Saturday evening and visit some magnificent tourist attractions on Sunday, looking forward to your Monday operation. Our team can recommend magical city tours! On Monday, you are operated early in the morning and will leave the clinic the same day or the next day. On Tuesday or Wednesday, you will be seen again by Dr. Zwillinger to see that everything is going well and that healing is not a problem. And that’s it, you just have to return home reassured and to rest with your loved ones. Dr. Zwillinger will take care to give you all the safety instructions regarding post-operative care (dressings, analgesics, antibiotics and anticoagulants) and will remain available at any time to guide you remotely in your convalescence. Dr. Nicolas Zwillinger and his team will also advise you to see you again in 6 months or a year. The opportunity to see what you have not seen in Paris the first time!